Doha – Qatar’s Emir Sheikh Tamim bin Hamad Al Thani stressed his country’s strong and profound ties with Saudi Arabia and expressed his commitment to further boost bilateral relations to serve the interests of both Gulf States. In a statement on Monday, the Emir extended on behalf of the people of Qatar sincere welcome to the Saudi King, adding that his country shares with Saudi Arabia and its people deeply rooted, strong and well established fraternal ties. Custodian of the Two Holy Mosques King Salman bin Abdulaziz arrived in Qatar on Monday, following an official visit to the United Arab Emirates. Upon arrival at Hamad International Airport, King Salman was received by Sheikh Tamim, Sheikh Jassem bin Hamad Al Thani, personal representative of the Emir of Qatar, Sheikh Abdullah bin Hamad Al Thani, Vice Emir of the State of Qatar; Sheikh Abdullah bin Nasser Al Thani, Prime Minister and Minister of Interior; and a number of senior officials. The officials left the airport in an official parade heading to the Emiri Diwan in Doha. Upon arrival at the venue, the motorcade was escorted by a flock of Arab genuine horses amid queues of well-wishers who expressed warm welcome to the king. An official welcome ceremony was held as the two national anthems of the Kingdom of Saudi Arabia and the State of Qatar were played. In the evening, King Salman attended a dinner held by Sheikh Hamad Al Thani, at the Educational City in Doha, in the presence of Sheikh Tamim and other high-ranking officials. In a statement to the Saudi Press Agency (SPA), Al-Aifan said that the close ties between the two countries and the wisdom of both King Salman and Sheikh Tamim were the best guarantee for the success of the trip. “Saudi-Qatari relations go beyond the common interests and bonds of neighborly relations,” the ambassador said. 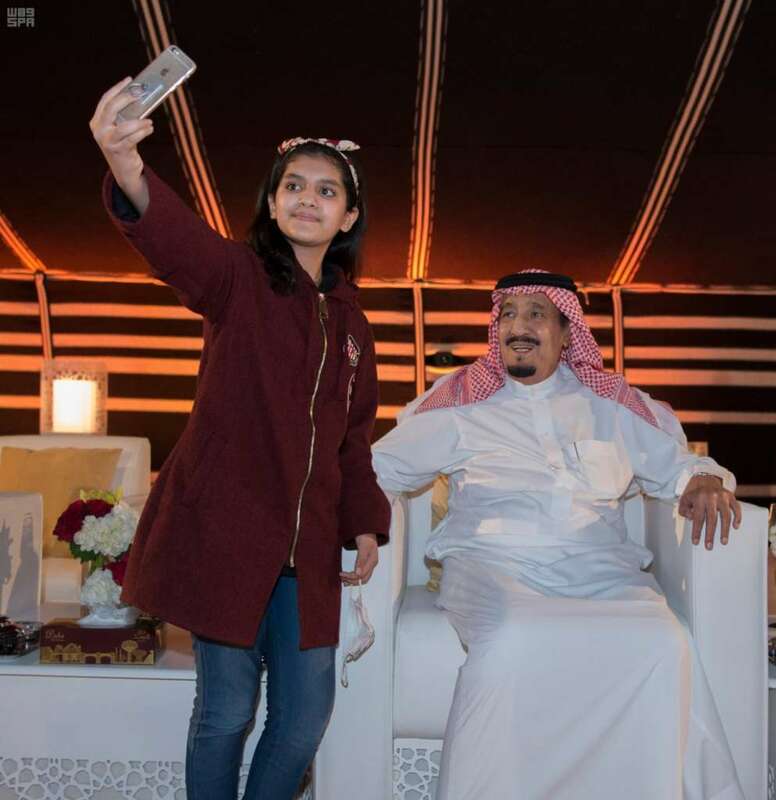 On a different note, King Salman sent a cable of thanks to Sheikh Khalifa bin Zayed Al Nahyan, President of the United Arab Emirates following his departure from the United Arab Emirates on Monday. “We are pleased as we are leaving your sisterly country to express our best thanks and appreciation for the warm reception and generous hospitality accorded to us and the accompanying delegation during our visit which has given us the opportunity to discuss ways to strengthen our brotherly relations in all fields to serve our common interests and achieve the aspirations of our two brotherly peoples,” the King said in his cable. “We pray to Allah Almighty for constant good health and happiness for you and steady security, stability and prosperity for the brotherly people of the United Arab Emirates,” he added.